How does international price volatility affect domestic economies and food insecurity? 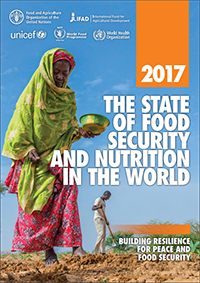 The 2018 Africa Regional Overview of Food Security and Nutrition reports that the food security situation on the continent continues to worsen. The worsening situation in Africa is due to difficult global economic conditions and, in many countries, conflict and climate-related disasters, sometimes in combination. 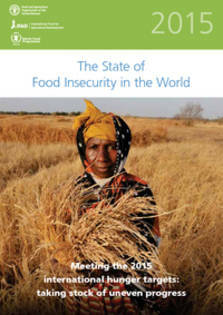 Notably, several countries have achieved sustained progress in reducing food insecurity in the face of challenging circumstances. The deterioration of the food security situation and the lack of progress towards the WHO global nutrition targets makes it imperative for countries to step up their efforts, if they are to achieve a world without hunger and malnutrition by 2030. This year’s report also reviews four important challenges and opportunities facing the continent: youth employment, remittances, intraregional trade, and climate change. 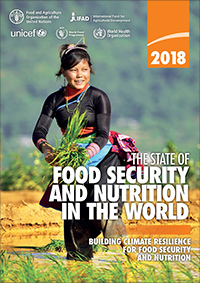 The thematic part of the report presents an evidence–based assessment of the threat from climate variability and extremes for food security and nutrition.